Contemporary art deco style engagement ring with ruby in 4-prong fishtail setting and diamonds pave set. Blue sapphire set in 4-prong setting, handcrafted in 14k white gold. Unique engagement ring with matching band. 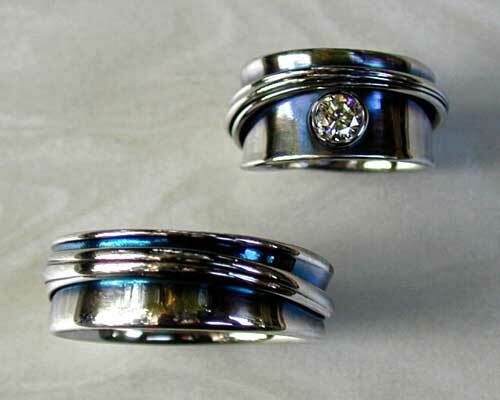 Free form engagement ring set, with matching band. Diamonds set in 14k white gold with rhodium finish. Formal engagement ring complimented by asymmetrical free-form band. diamond held in split 4-prong setting. 14k white gold with rhodium finish. Free form, art nouveau style engagement ring set. Handcrafted in 14k white gold with rhodium finish. Diamond set in 4 prong setting. Tension set diamond with comfort fit band, 14k white gold with brushed surface and rhodium finish. Bezel set black star sapphire, pave set diamonds, handcrafted in 14k white gold with rhodium finish. Solitaire engagement ring, diamond set in 6-prong setting, with matching band. 14k white gold with rhodium finish. Free-form engagement ring with matching fitted band. Green diamond set in 4-prong setting, white diamonds bead set. Custom handcrafted in 14k white gold with rhodium finish. Fluid, freeform, ruby engagement ring. Ruby set in 4-prong setting, 14k white gold, rhodium finish. Antique style fishtail setting. Unusual platinum engagement ring. Antique style 4 claw fishtail settings with 3 diamonds set. Wide 7mm band giving a more contemporary look. Engagement ring set with diamond in 4-prong setting and pave diamonds bead set. 14k yellow gold. Free-form engagement ring, with tanzanite set in 14k white gold, rhodium finish. 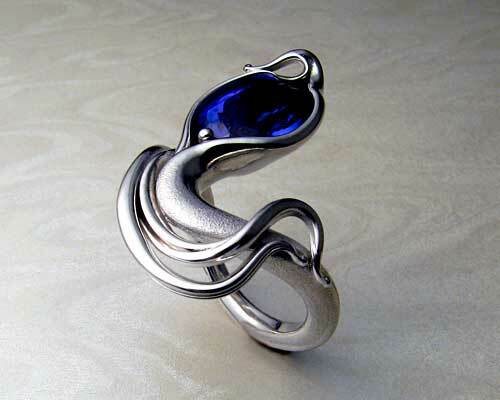 Very fluid, organic ring with art nouveau lines. Blue moonstone set in full bezel, diamonds pave set in sterling silver. A blend of modern industrial minimalism with very fluid organic freeform lines. Diamond gypsy set in 14k white gold with rhodium finish. Custom made, antique style scroll ring. Diamond and rubies bezel set in 14k white gold with rhodium finish. Combination wedding-engagement-band. Diamond bezel set in custom handcrafted 14k white gold with rhodium finish. Diamonds set in 14k white gold with rhodium finish. Princess cut diamond set in 14k white gold with rhodium finish. Celtic trinity knot engagement ring. Peridot and diamonds set in 14K yellow gold. Handcrafted in 14k white gold with diamonds and rhodium finish. Tension set band, comfort fit, brushed surface, 14k white rhodium finish. Tension set band with blue sapphire, comfort fit, 14k white gold with rhodium finish. 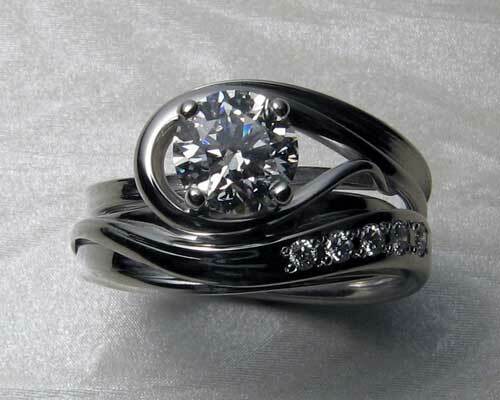 Custom freeform engagement ring enhancer set with 2 small diamonds set in 4 claw settings. 14k white gold with rhodium finish. Texture detail molded from climbing rope. Diamond bezel set in 14k white, knot band 14k yellow. Open filigree work, ruby set in 4-prong setting, diamonds bead set. 14k white gold with rhodium finish. Solitaire engagement ring with enhancer. Diamonds bead set in 14k white gold with rhodium finish. Diamond bezel set on band style engagement ring. Ladies and gents bands both 14k white gold with textures and patina. Twenty hearts carved in 14k white and yellow gold. Center stone, diamond set in 4-prong heart setting, side diamonds 4-prong settings. Free form, asymmetrical engagement ring. 14k white gold with diamond set in 4 claw setting, rhodium finish. 18k yellow gold. Celtic Knot-work 8th to 9th century. Beautiful, fluid, asymmetrical engagement ring. Diamond set in 4-prong setting. 14k white gold with rhodium finish. 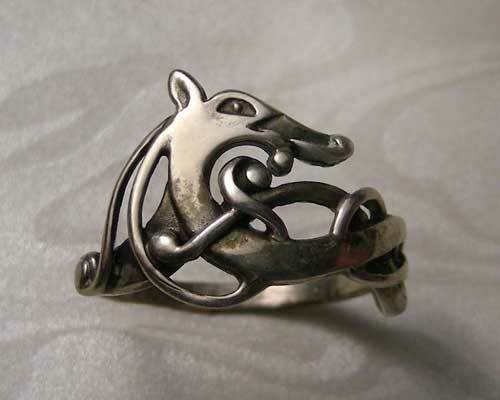 Unusual engagement ring. Purple sapphires with diamonds set in 14k white gold, rhodium finish. Princess cut diamond engagement ring. 1/2 ct diamond, set in 4 claw scroll setting with 2.2mm pink sapphires bezel set in 14k white gold. 8th to 9th century knot-work 5.5mm wide. 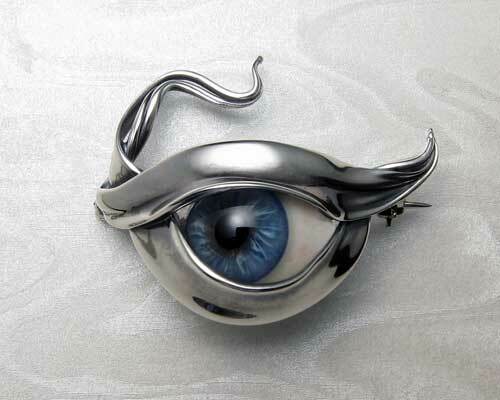 Very unusual custom made engagement ring. Princess cut diamond bezel set, on throwing star, blade slicing through freeform band. Custom handcrafted in 14k white gold with rhodium finish. Contemporary, Art Nouveau style engagement ring. The bezel set blue moonstone, gives the very delicate appearance of a drop of dew nestled in the fluid, organic, whiplash lines reminiscent of the Art Nouveau period. In the recessed areas are pave set diamonds that have a sparkling. shimmering affect against the white gold. materials - bezel set blue moonstone, pave set diamonds, 14k white gold with rhodium finish. 14k yellow gold with gun-metal-black patina. Brilliant diamond set in 14k white gold bezel. 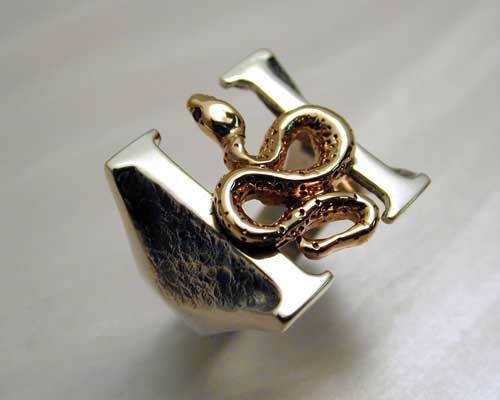 A symbol of that lasting impression your significant other has made on you. The ultimate family heirloom, fingerprint rings. Art-nouveau style engagement ring with ruby. Fluid, asymmetrical, art-nouveau style free form ring. 14K white gold withruby set in 4-prong setting with purple and blue patina. One-of-a-kind, lotus engagement ring. Bezel set pink sapphire and pavé set diamonds. 14k white gold. Pear shaped engagement ring with 9x7mm cornflower blue sapphire set in a white gold setting. Solitaire engagement ring with very unique and unusual band. Diamonds set in 14k white gold. Fluid, wave-like design with flowing lines. 14k white gold embracing a beautiful cornflower blue sapphire set in a 4-prong setting. Inspired by Art Nouveau artist Gustav Klimt, most famous painting, The Kiss. 14k white gold embracing a corn-flower blue sapphire. Yellow and white gold granulation texture encrusted with pave diamonds. One-of-a-kind, pink sapphire engagement ring set. One-of-a-kind, oval pink sapphire engagement ring. 1.40ct pink sapphire bezel set in 14k white gold, with matching 14k white gold band.